We know you rely on your vehicle for so much in your life. We also know you want a team that provides the product knowledge and customer service you desire when getting your vehicle serviced. That’s where Flemington Car and Truck Country comes in. 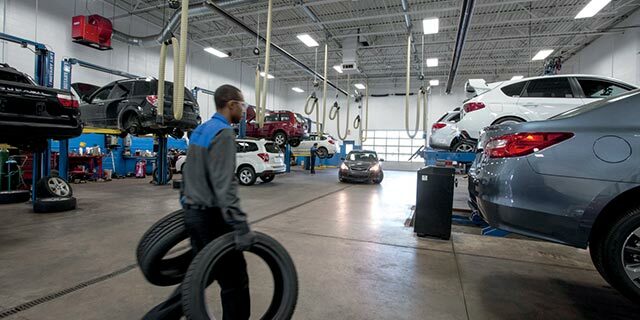 Our experienced service technicians are certified in 16 different car makes across 8 of our Family of Brands locations and can perform auto repairs & maintenance on vehicles from other makes as well. So you can have the peace of mind knowing that your car, SUV, truck or van is in the hands of automotive experts. Our team performs services on vehicles like yours ranging from routine maintenance such as oil changes, tire rotations & wheel alignments and car battery replacement to major car repairs on components like the engine, transmission, cooling system and brakes. The Flemington Car & Truck Country Family of Brands will treat you right from the time you bring your vehicle with us, throughout the entire service process whether you’re waiting at one of our locations or elsewhere and until you drive home satisfied. We’ll even let you know about any automotive issues that you’ll need to address in the future.